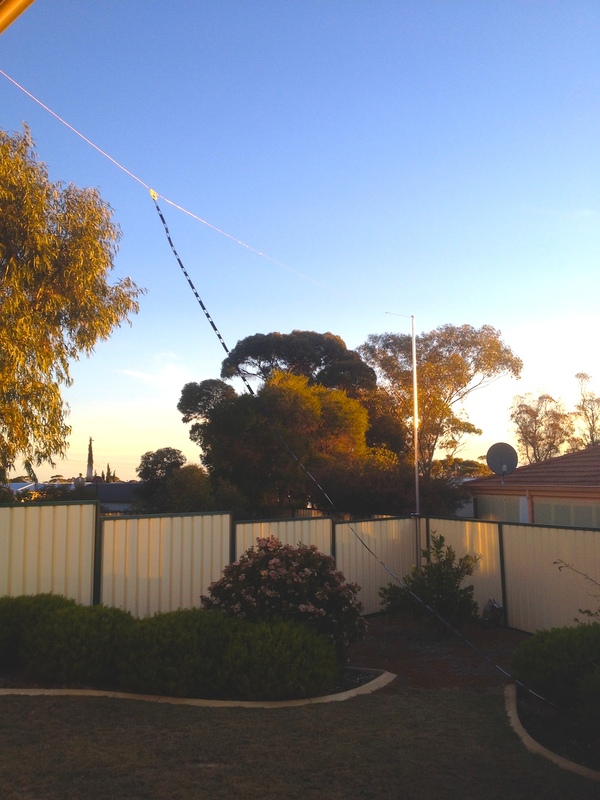 I turned the radio on last Saturday afternoon to have a tune around and heard VK6QM calling CQ contest. I wasn’t aware there was a contest on, but when no one else was answering I called back and got a quick lesson in what the exchange was (signal report and contact serial number) and scrawled that and my times on a piece of paper. After looking up the rules on the WIA web site, I was keen to get back into it – a good opportunity to get some signal reports and a feel for where I was getting out too. 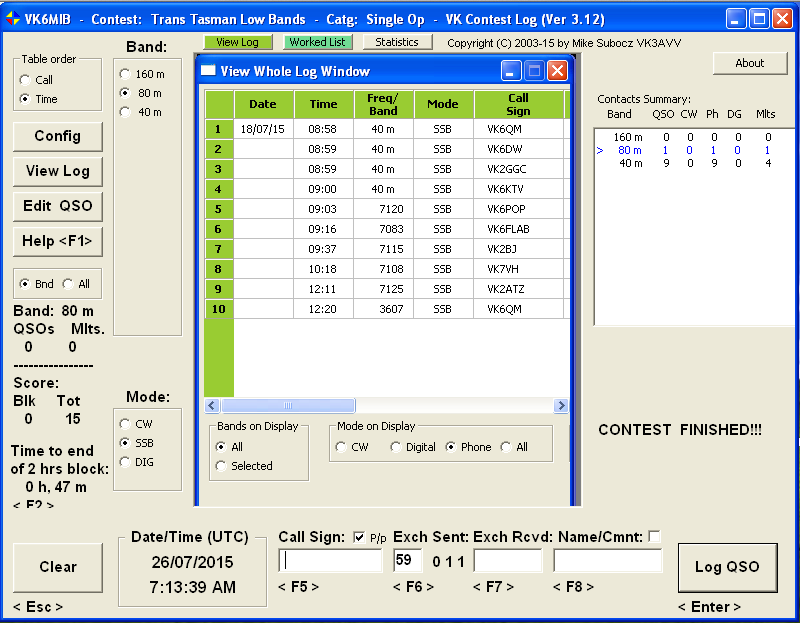 The Trans-Tasman is a low-bands contest 40/80/160m. My 160m here is non-existent and 80m very marginal but I thought I’d be able to give some points away on 40m while it was still open. 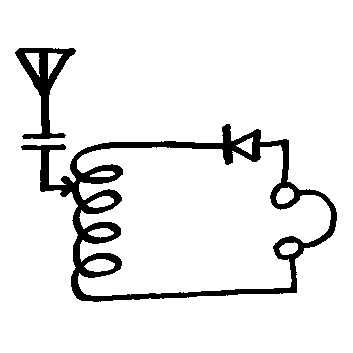 The rules allow for repeat contacts in each of the three two hour periods. I decided that I’d need a better system for keeping track of things than my current logging software (HamLog) and downloaded the VK Contest Logger (VKCL3). This software is designed for Australian contests and it handles all the complexity of the rules for you. For example, during this contest I was tuning up and down (the search & pounce method). If I heard someone calling CQ I could just type their call into VKCL3 and it would let me know if I’d contacted them on this band in this time slot. If it indicated that this call sign was worth points, I could go ahead and make the contact and just type the call and serial number into VKCL3 to log the contact. The software also keeps track of what my serial number for each contact was. I wasn’t contesting very seriously as I had other work to do, and after sunset most of the action moved to the lower bands but it was still fun to make these short contacts and support the VK6 community by giving away some points. I finished my contesting night with an 80M contact with VK6QM, nicely bookending my first foray into contests. I finished with 18 points (a tiny total compared to others). Although I stuffed up the serial number for one of the contacts. I left him in the log as perhaps he’ll get the point when the contest manager matches the logs. Speaking of logs, it was a simple matter to export it from VKCL3 for upload. The log contains all the time, band, call sign and exchanges for each contact. I imagine they are validated against each other somehow – hence the importance of submitting my log even though I wasn’t competitive. I’m definitely keen for more of this. If you haven’t had a go at a contest, I’d recommend it, and I highly recommend the VK Contest Logger software if you are going to give a local contest a try. Posted on July 26, 2015 by I Bailey. This entry was tagged antennas, contesting, FT-857D, G5RV, HF, software. Bookmark the permalink.